Hi, I am Jane Davidson from Want it, Need it, Quilt. Most people know me as quiltjane. 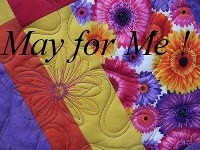 I love to tweet @quiltjane, have a FB page Want it Need it Quilt, and a gallery pictures on Flickr. 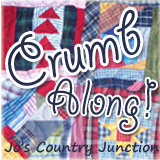 My blog is where I share fun competitions , like the current Dress Up your Roll competition, giveaways, tutorials and The Desperate Housewife's Quilt a long as you wish. To introduce my self, Kim has designed a brief questionnaire. What is my crafting style? Anything really. I wake up every morning thinking how can I challenge myself today. How did I get started creating? 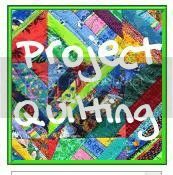 I always had a passion for quilting but I think being able to network with the rest of the quilting resources around the world inspired me to start a business and get out there and design and create quilt patterns. I don't really have a favourite piece. I give away almost everything I make and generally base their worth on the happiness they give to the recipient. I did keep one named the Fractured Christmas Star. A simple raw edge appliqué quilt. 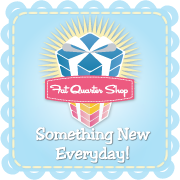 What is your favourite crafty blog to follow / read? There are too many blogs I love to read everyday. 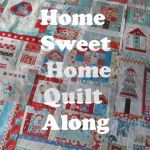 I have so many favourites I possibly could not select one over the other but I must admit I do like the Modabakeshop site which is a great source of inspiration for quilters of all skill levels. Which part of the creative process do you like the most? 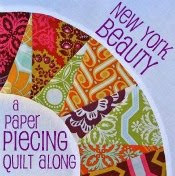 Well, that would be a tie between the pattern drafting and the quilting. Which part of the creative process do you dislike the most? Favourite Adhesive? Thread. Bedding down appliqué with stitches. 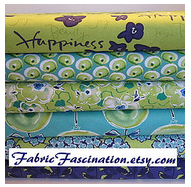 Check out Jane’s Blog HERE to find out how to make the seventh block! Love this block! and what a pretty christmas star block too!